At Cannabar, we strive to create high-quality products that are delectable, consistent and properly dosed. We are committed to providing you with a healthy elevated snack that contains no artificial ingredients or fillers. Our Cannabar products prove the point that cannabis, like nutrition, is part of a healthy and balanced wellness ritual. Delicious wellness bars to get you through the day, tasty protein bars to help you power through your workout and deluxe chocolate bars to help you unwind and relax by day’s end. Cannabar takes your fitness, your wellness and your relaxation to a whole new level. thc in a wellness bar? THC is the chemical compound in cannabis responsible for a euphoric high and is cannabis’ primary psychoactive component. It produces intoxicating effects as well as cerebral euphoria and has many medicinal benefits to boot. Everyone reacts differently to ingesting THC due to their own genetics, the body’s unique chemistry, their mental state as well as the frequency of use, but many people have incorporated THC products such as these into their wellness routines since it gives them focus, mental clarity and provides pain relief. We are only beginning to decode the secrets that this incredible plant holds, and as we do so, we are breaking free from stigmas associated with cannabis. Cannabis-derived CBD has been used for years as a post-exercise treatment as it has been shown to have anti-inflammatory properties. In fact, it lowers the large amount of pro-inflammatory cytokines—things that our body makes naturally in response to any inflammation. Furthermore, CBD does not get you high but provides seemingly magical healing properties such as relief from pain, anxiety, psychosis, seizures, spasms and other conditions without disconcerting feelings of lethargy or dysphoria. Further evidence suggests that CBD is safe even at high doses and we think that it is a must-have ingredient in any post-workout wellness bar. Our THC-CBD hybrid bars are perfectly and consistently dosed for your mood. Single serving sizes as well as both micro and macro doses available. 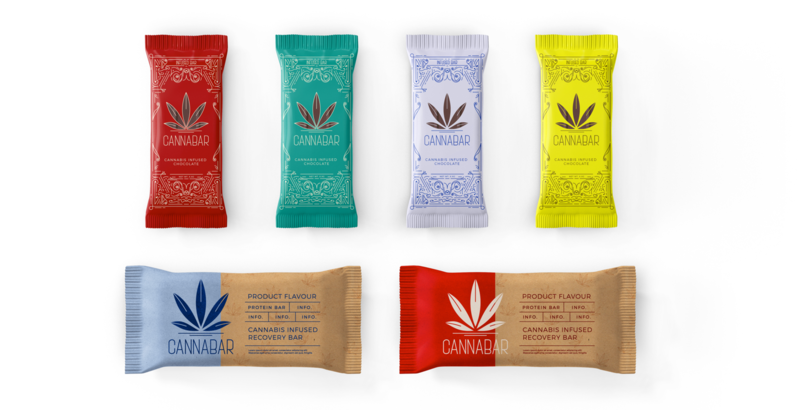 Cannabar’s CBD-only bars are ideal for your relief of aches and pains, but above all, they are great just to wind down after a stressful day or a grueling workout. These products are still pending legalization. How about you leave us your email and Get notified when we launch?